1oz. 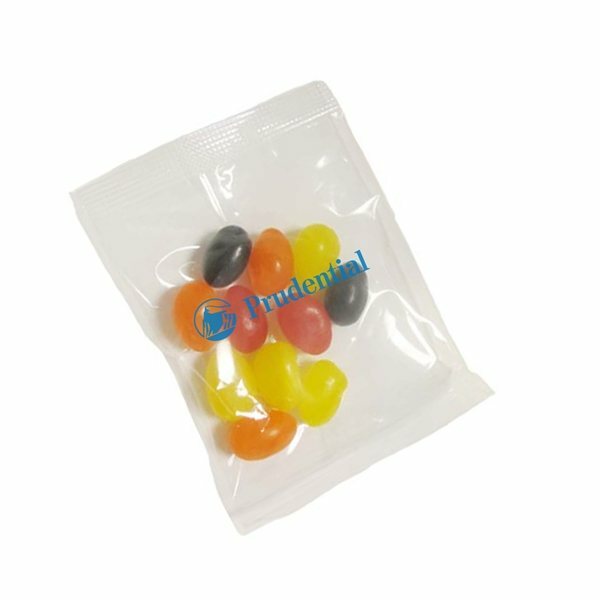 Assorted Jelly Beans Goody Bag. 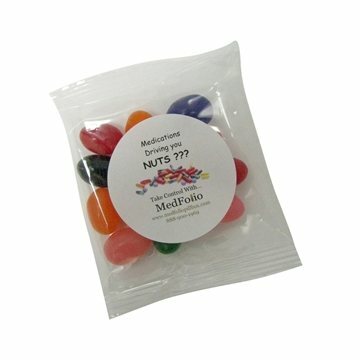 Perfect for parades, trade shows or any event where you want to give an inexpensive, colorful and delicious treat. Select from a 1-4 spot color direct imprint or a 1-4 color process label for the same price!